We provide fully catered golf breaks: weekends or a full week. 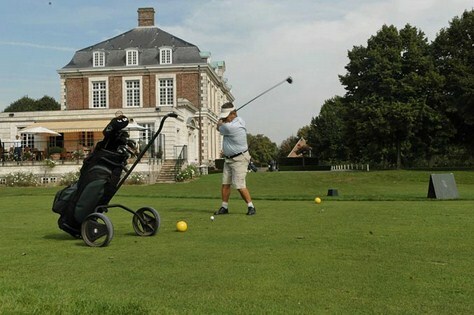 There are nine golf courses in Northern France accessible from Le Verger. Two courses: Le Grand Parcours des Cygnes, which is a beautiful water course with lakes and ponds, 18-hole, par 72. Le Belvedere, which is 18-hole, par 72. Three courses: La Foret, which is 18 hole, par 71. La Mer, which is 18-hole, par 72. Le Manoir, which is 9 hole, par 35. Two courses: Le Parcours des Aubepines, which is 9-hole, par 30. Le Parcours de la Valees, which is 18-hole, par 72.